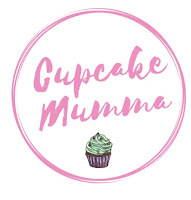 Cupcake Mumma: February at The Cupcakes! At the start of February our little pooch Peppa went in for an operation to remove some lumps on her stomach. Everything went well and the lumps were nothing to be worried about. The only thing that wasn't so healthy was the old bank balance! I've been visiting my Gran and Aunt every week for a while now, one week I went at the weekend with Midge and A to visit their Great Aunt and Uncle. It was a lovely day, we all caught up and ate some picky foods. My Uncle passed away last month and it was tough for many of us. I traveled to Portsmouth with Mum and Dad. We met my sister there and stayed with our grandparents for the night. Although sad, the ceremony was lovely. On the way home Dad treated us to a breakfast at a Little Chef which I haven't had in many years! 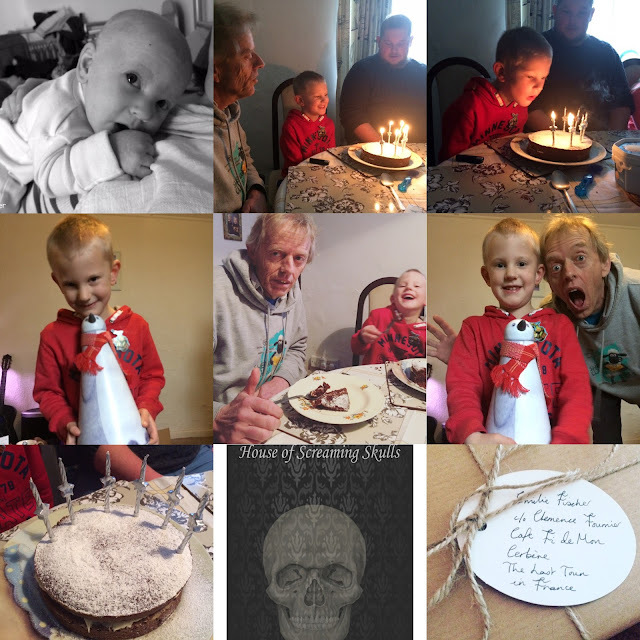 Peppa all better//Little A with his Great Uncle//Card I made for my grandparents//Uncle M's rose//My cousins boyfriend holding the beautiful flowers at the end of the funeral//Breakfast at Little Chef//Costa in the afternoon! Little A turned six! We celebrated by going to Paradise Park a few days before. They spent 2 hours in the play area and then we enjoyed looking at the animals and riding on the little train. I loved the owls, I think I must have missed them when I last visited. I was sad we didn't see the red pandas but they don't come out too much, I think they have young. 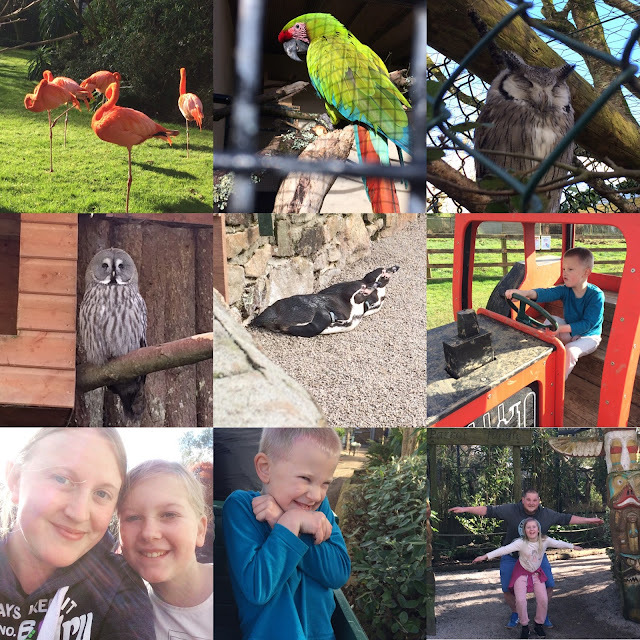 Such a beautiful day was had and you can read all about it by clicking the link at the bottom of this post. We also visited Grandma and Pop's house on A's birthday to unwrap gifts and have a big family roast. I got to bake a fair bit in February, pancakes featured heavily too! I spent a lot more time reading books and since signing up to a book reviewing site I've had to learn to embrace Kindle reading! I've really enjoyed reading more, I hope I can keep it up through March. I hope you all had a lovely February. 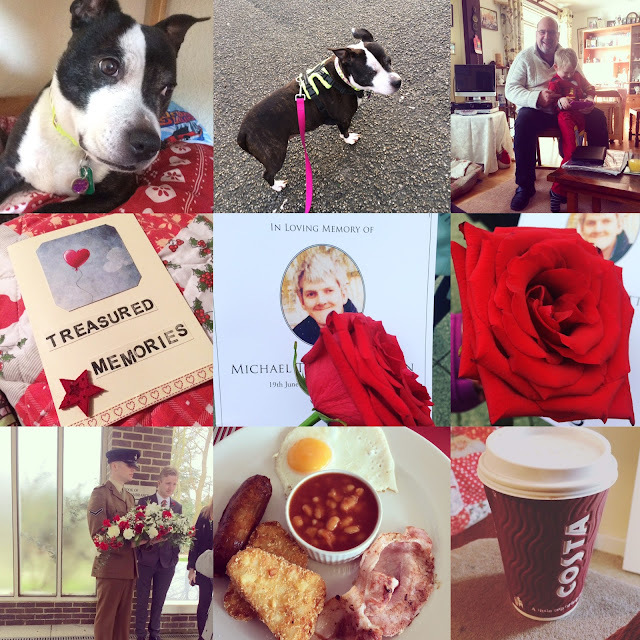 Do check out my posts from February which are all linked below! Here's to March and some Spring weather I hope! !